As the world celebrates the fiftieth anniversary of the Boeing 747, another aircraft is discreetly being retired without any fanfare. Although the Airbus A340 was never as iconic or game changing as the "Jumbo Jet" when it first entered service, it is an unsung hero of sorts in that it has served as the workhorse of long-haul fleets around the world for the past several decades. 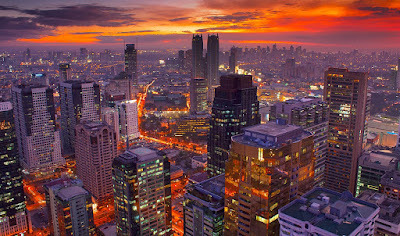 Philippine Airlines, the last Asian operator of the A340 fleet, operated its last scheduled service at the end of September 2018. The last flight departed with no celebration or acknowledgement. Philippine Airlines decided to accelerate the retirement of its A340 fleet amidst rising fuel prices and the arrival of its new A350 fleet. According to the Centre for Aviation, 156 A340 aircraft still remain in commercial operation around the world. However, not a single one of those operators are in Asia, where there was once as many as eleven air carriers operating the A340 in its fleet. Like the Boeing 747, airlines around the world are retiring four-engined aircraft as global fuel prices continue to soar. It simply just doesn't make sense anymore to operate aircraft with four-engines on routes that can easily be flown by an aircraft with just two engines. Philippine Airlines had originally intended to operate the A340 fleet until at least 2019. However, the decision was made to quietly retire all four aircraft in September 2018. The last scheduled A340 service by Philippine Airlines was operated from Vancouver to Manila on September 30, 2018. Prior to PAL retiring their A340 fleet, China Airlines and Cathay Pacific were the last remaining A340 operators in Asia. The Airbus A340 aircraft was produced from 1987 to 2010. There were four variants of the A340 produced. Philippine Airlines operated the 200 and 300 series aircraft. 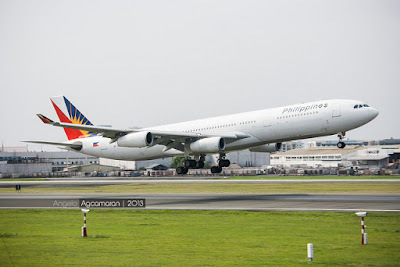 The last A340 aircraft operated by Philippine Airlines were acquired used from Iberia of Spain by former PAL President Ramon Ang. While newer than the A340 aircraft they replaced, the aircraft had modern, but still outdated in-flight amenities. If you have your heart set on flying an Airbus A340, Lufthansa of Germany continues to be the largest scheduled operator of A340 aircraft with 28 A340 aircraft in its fleet including the lengthy A340-600. The series 600 was originally designed to replace early model Boeing 747 aircraft. The A340-600 is actually longer than both the Boeing 747 and A380 aircraft. It measures 4 metres longer than a Boeing 747-400. 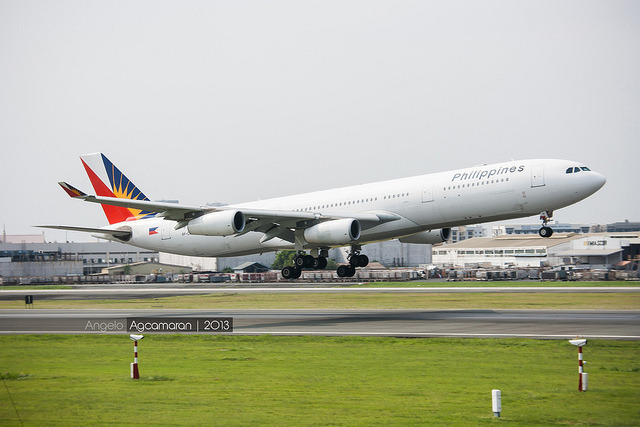 While Philippine Airlines did not have the largest A340 fleet, it was without a doubt one of the longest operators of the A340 flying the aircraft as part of its fleet for 22 years. PAL first accepted delivery of eight new A340 aircraft in 1996 and 1997. Unfortunately, the A340-200 fleet had to be returned as Philippine Airlines entered receivership in 1998. With the departure of the Boeing 747 and the A340 fleet from Philippine Airlines, the national flag carrier now has a young wide-body fleet with an average age of just four years. As more A350 aircraft arrive, the fleet age will decrease further. Philippine Airlines primarily operated its recent A340 fleet on routes to Australia, New Zealand, and the United States. In recent years, the A340 served Brisbane, Sydney, Melbourne, Auckland, Los Angeles, San Francisco, and Honolulu. Meanwhile, if you think the A340 has vanished forever from Philippine skies, there is still an extremely slim chance you may end up on board one. According to Jose Perez, Vice-President of Corporate Communications at Philippine Airlines, one A340-300 aircraft remains parked and available for use in the highly unlikely event that a technical issue should arise with another aircraft. Although the A340 fleet became inefficient and outdated in their later years, they will forever remain an important chapter in the history of Philippine Airlines. The good news is that as PAL's A340 chapter closes, so does the carrier's disadvantage in the global marketplace. With modern, fuel efficient aircraft taking over, PAL's ability to compete on routes increases dramatically as it strives to become a five-star global carrier.